It’s here at last (mostly), and Google have offered a helping hand for those who want to know if the switch has happened to them – check the log file, but how do you do that and what do you look for? What is your log file? This will be the first question from many people and, as one of the easier to answer questions in this process, we may as well begin here. The log file for your site is a simple .txt file listing all interactions with your website as a series of coded information on visits, URLs, dates and time which capture all activity and interaction on and with your site. Your log file data is stored on your server, so you’ll need to have access to the server and have it configured to save log files (if someone else manages your server or site, you’ll need to ask them for the log file). If you have access, you will – more often than not – find your log file in your control panel where you’ll see a prompt to download something called ‘raw log files’ or ‘raw log data’ or similar. 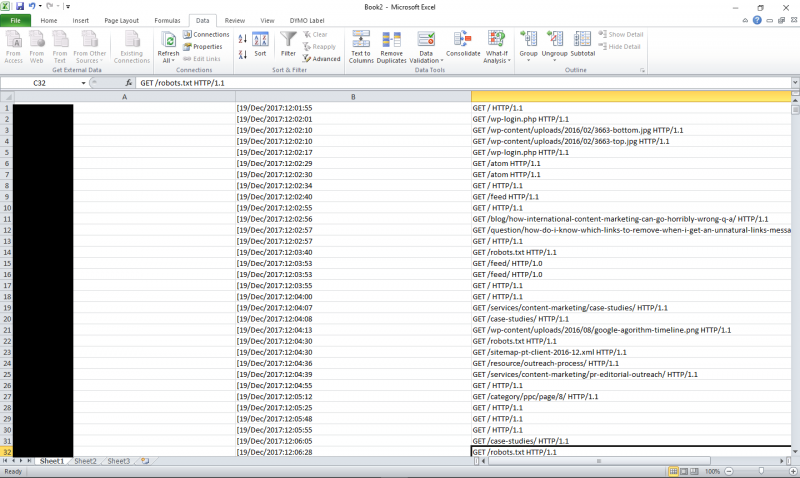 It will be a .txt extension and, once unzipped, can be imported into Excel (or a database, text editor etcetera). When you open your log file (it may take some time depending on the volume of your site’s daily traffic), you’ll see what initially looks like an enormous block of letters and numbers. At the top of the data, however, the first three lines detail the date the file was generated and describe the server. The fourth line serves as column headers (#Fields) and will vary from server to server and then comes the actual data. While this data can tell you a lot (which we can tackle at some point if requested), for the time being, what you’re looking to see which of the Googlebots are frequenting your site. Ordinarily, the split between the desktop and mobile bots is 80% desktop and 20% mobile; this will be reversed if you’ve been switched to Mobile First indexing. You would probably recognize it in the log files. If you see, if you look now, probably something like 80% of the crawling is with the Googlebot desktop and maybe 20% is with mobile with the smartphone Googlebot. That will shift over and most of the crawling will be done with the smartphone Googlebot and less crawling with the desktop Googlebot. So if you really watch out for your log files probably you can notice that fairly obviously. 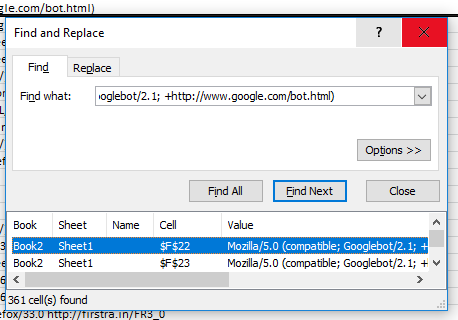 Using the find all function and searching for both of these bots (from the Mozilla to the close of the first brackets will be enough to differentiate the two) will give you the count you need in order to make the call. As things stand, for example, Click Consult is currently showing 430 instances between the two Googlebots with a weighting of 84% desktop vs mobile. So we can safely say, while we’re ready for the roll out, we’re not yet being indexed Mobile First. The video below (starting at 3:40) features the relevant announcement. Have you been shifted to Mobile First indexing? Let us know. For more actionable insights, walkthroughs and more, check out our blog and our resources – or contact us to see what we can do for your brand.